Successfully Added Uphone U3A Rugged Phone - IP67 Waterproof + Dust Proof Rating, Shockproof, MP3/MP4 Player, Bluetooth (Orange) to your Shopping Cart. 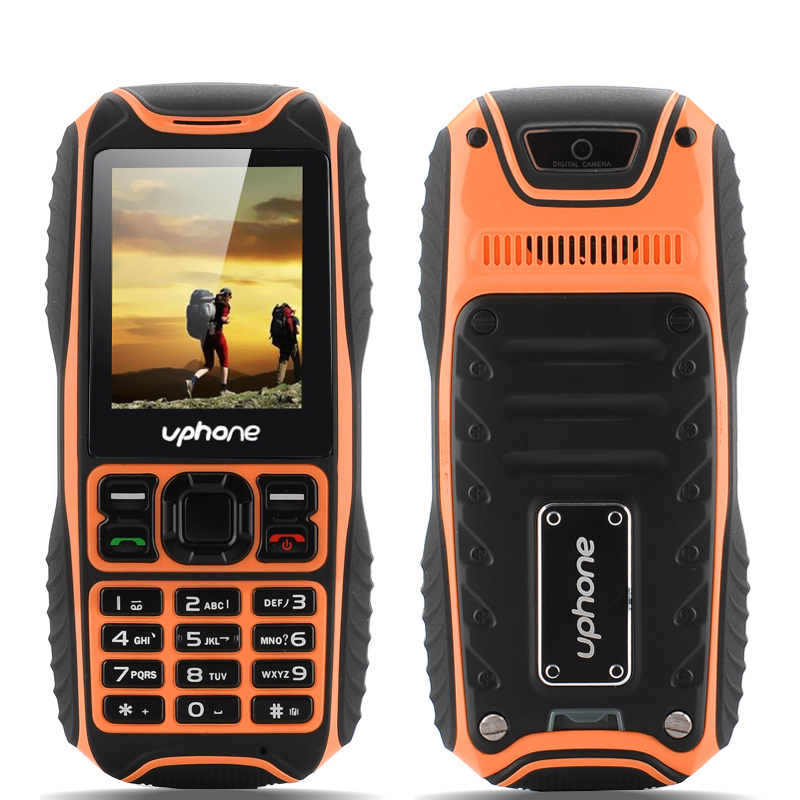 The Uphone U3A Rugged Phone has an IP67 Waterproof and Dust Proof Rating, Shockproof, MP3/MP4 Player and Bluetooth syncing. Tackle the world head on with Uphone’s U3A bar phone that has a rugged exterior that will be the envy of the competition. Earning an IP67 rating, this phone can get wet and is fully protected from the ingress of dust and dirt particles. Ideal for anyone in construction, farming or someone who enjoys the great outdoors, this bar phone has been made to be practical and tough. Also this phone is shockproof so it can survive a few knocks and bumps. The 2 inch display screen provides all the visual qualities you need to explore the simple to use operating system. Sync with other phones and compatible devices such as speakers through Bluetooth connectivity as this phone is very diverse and has Bluetooth. Listen to FM radio on the go or you can use it as a MP3 or as a MP4 player to listen to all your favorite tracks. 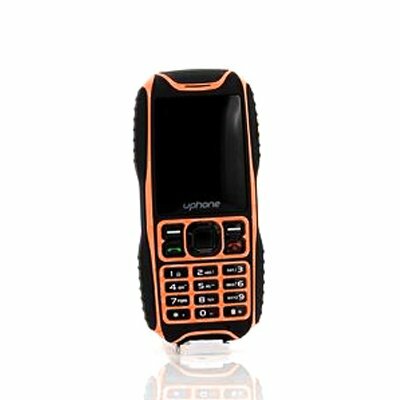 Insert up to two SIM cards and connect with others via 2G GSM850/900/1800/1900 bandwidths. There is internal memory, however there is the adding bonus of a micro SD card slot that is ideal for boosting the current storage space or easy transferring.